“Vanishing Pearls: The Oystermen of Pointe a la Hache”, by Nailah Jefferson, depicts the loss of livelihood of oyster “farmers” on the southern Louisiana coast and bayous after the BP Horizon oil spill in 2010. This was when the BP chairman "wanted his life back." The company has tried to pressure the fisherman with a “release of all claims” strategy (similar to employment severance) where the fishermen lose the right to sue in the future if further damages are found. Then families have also been caught in a “Catch 22” trap trying to get financing to get their businesses back. The families in the town also say that they will lose the chance to show their teenage children their way of lie, which will be lost. Much of the film is told from the viewpoint of businessman David Byron Encalade. The film also makes the point that the community came back all right from Hurricane Katrina, but not from the oil spill. The company also apparently says that the volume of oil is a “drop in the bucket”. The film is available on Netflix instant play. 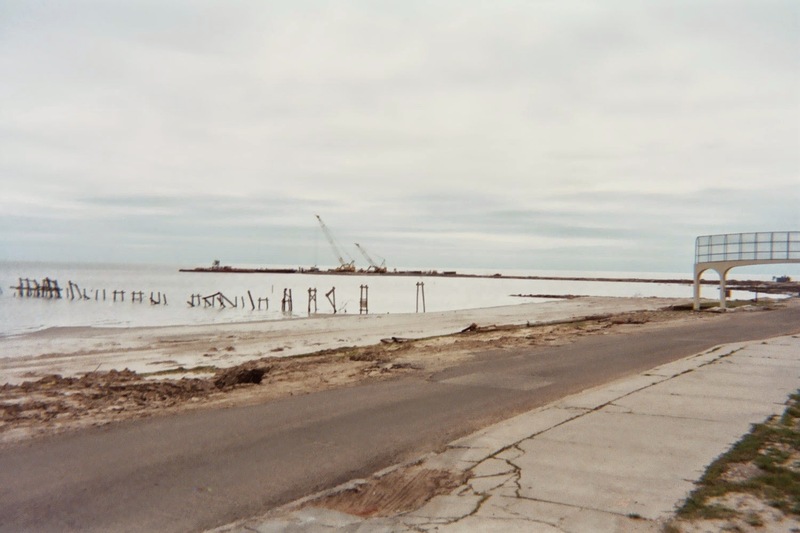 Picture: Mississippi Gulf Coast after Katrina, early 2006, my visit.